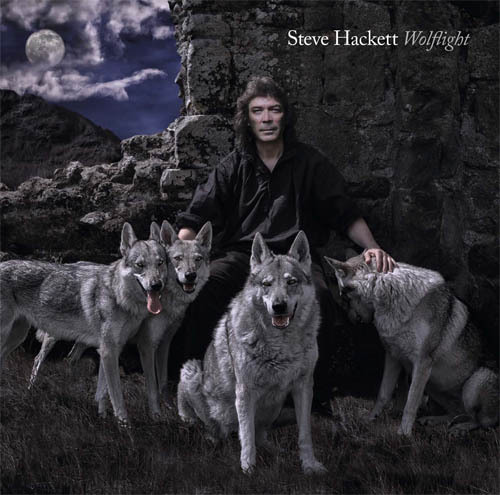 Steve Hackett´s latest album called Wolflight saw the light of day on March 30, 2015. Music pioneer Steve Hackett has announced the release of his new solo album Wolflight. According to the man himself, this "wild pack of tracks - starting with a wolf cry - will be unleashed on the unsuspecting on 30th March 2015." An excited Steve Hackett tells us more about the record: "My new rock album Wolflight is at the ready and lying in wait. It reflects everybody's struggle for freedom on a journey travelling through both inner and outer space. It explores sounds from as far afield as Greece, Azerbaijan, the deep American South, Sahara desert and beyond, from all our yesterdays, evoking the ancient past". Steve Hackett's electric guitar plays a powerful role, whilst we also hear him on acoustic guitar, Arabian lute and twelve string, along with his strong lead vocals. Guest Musicians include long time collaborators Roger King (Keyboards & programming), Gary O'Toole (drums), Rob Townsend (sax, duduk), Nick Beggs (bass & stick) and Amanda Lehmann (harmony vocals). Malik Mansurov on tar and Sara Kovaks on didgeridoo add an extra exotic element, plus YES bassist Chris Squire plays on Love Song to a Vampire and Hugo Dagenhardt plays drums on Dust and Dreams. The innovative song writing team includes Steve Hackett, his wife Jo Hackett and also Roger King. Special edition CD & Blu-Ray mediabook, 2LP & CD Gatefold vinyl, CD Standard Jewelcase & Digital Download.